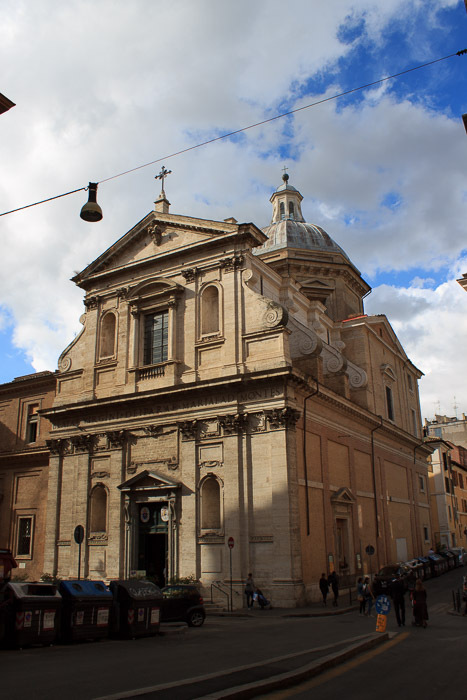 Santa Maria ai Monti is a beautiful neighborhood church across Via dei Serpente from Piazza della Madonna dei Monti. The locals call it Madonna dei Monti. Built in 1580 and dedicated to the Blessed Virgin Mary, this catholic church celebrates the discovery of a miraculously preserved picture of the Madonna that was found in the ruins of the convent that used to stand in the same spot. A blind woman praying in front of the picture regained her sight. 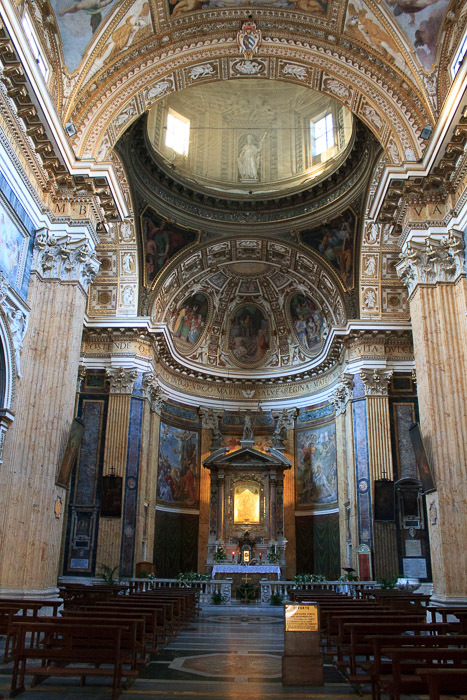 The church is decorated with several paintings and is a very solemn, dark church. I wouldn't recommend anyone going out of their way to see this church, but if you're staying in the neighborhood like I did, it seems to be open most evenings until 7:30 PM and makes an interesting spot to peek inside of on the way to dinner. The Fontana dei Calecument in Piazza della Madonna dei Monti is across Via dei Serpente and makes for an interesting stop on the way back from dinner. See all Santa Maria ai Monti photos.